Summer movie season is in full effect with the arrival of the third movie of the, sort of rebooted X-men franchise. X-men: Apocalypse hit theaters on Friday May 27th, so how was it? Let’s dive in. I’ve got to say that thanks to X-men: Days Of Future Past, I don’t know what timeline to follow. X-men, X2 and X-men: Last Stand were all in one universe. 2011 saw the rebooting of the franchise with X-men: First class. We got new actors portraying characters like Magneto and Prof. X, albeit younger versions. Then Days Of Future past came out and all of a sudden we had characters from the original trilogy showing up amongst all the new characters? So , really I don’t know what to follow and what not to follow. This is a problem that will show up, particularly in this movie. It’s a bit of a standard plot. It feels very much like something we’ve seen before, but that may not have been that big an issue if it was executed very well. Essentially it’s the arrival of a new villain and his followers into the modern world. He’s been asleep for quite some time and now he’s woken up angry. All this while Charles Xavier and Mystique band together to bring a new group of X-men together to stop this threat. One issue that this movie has is that it spends too much time setting things up. We need a setup for the villain Apocalypse. We need a setup for his followers. One by one, I might add. We get a set up for Mystique, Nightcrawler, Cyclops, and Strom. It takes a while before all that set up leads to too much substantial. There are some good moments in there. Storm is one of the better “new” characters introduced. She looks true to her origins, mohawk and all. They pay homage to her roots as a thief when she was under the control/tutelage of the Shadow King. There was a powerful scene with Magneto and his family that also stands out as one of the high points of the movie. Once things get going it’s fairly by the number. No other real themes are explored and character development becomes lacking. Some character’s motivations are weak while other characters are just plain bad. No more is this true than with Moira McTaggret. Easily one of the worst things about this movie. Her character is so bland and poorly written it’s not funny. I really felt she had almost no purpose in this movie. She’s pretty much there to be Charles Xavier’s love interest. ( Minor Spoilers) there’s even a point where she suits up with the X-men?? Very dumb if you ask me. Pyschlocke is a character that was making her first big screen debut and I was hoping for good things but left slightly disappointed. She looked the part, that’s for sure. Her costume has probably been the most accurate of any of the X-men, so that’s a plus, but again, she had weak motivations and zero character development. Her “ending” was definitely a WTF moment that really stood out to me. They built up Cyclops a bit more but in the long run it didn’t really pay off all that much. I will admit it was good to see the stalwarts like him and Jean Grey back in the fold. Then we get to Mystique. Oh Mystique, what are going to do with you? At this point she bares almost no resemblance to the comics or cartoon version of her character. Hell, she barely resembles the version played by Rebecca Romijn. The question is whether this is a good thing or a bad thing? I think a case can be made for both. From a comics/cartoon perspective, Mystique was nothing more than a self interested villain who played a vital part in certain X-men’s lives. In the comics/cartoon she was the mother of Nightcrawler. She also had a hand in Rogue’s upbringing as well. She had her complex moments but she was certainly no leader for good. The original trilogy of X-men movies pretty much showcase her in this way, save for the fact that she is on Magneto’s team. The current crop of movies showcases her as a much more sympathetic character. She has a good heart but is prone to anger and even hate. She’s still kind of a loner but she fights for mutant kind. Jenifer Lawrence’s version is the more complex and perhaps more interesting version but is it too far from the source material? That’s up to the public to decide. One thing I can’t agree with is having her be in constant human form. It goes against her character, not just in the comics but in the movies as well, particularly the first 3 and First Class. To be fair they do try to explain why she is in human form as often as she is but I don’t know. It’s very clearly an excuse to capitalize on Jennifer Lawrence’s fame which doesn’t service the character. At the end of it all, everything requires so much explanation and setup that when characters do turn, one way or the other, it doesn’t feel earned. This becomes very evident as we get to the climax of the movie. Entertaining but could’ve been better. There are some nuggets that are worth mentioning. ( SPOILERS coming) Wolverine’s surprise cameo manages to be the best action set piece in the whole movie. It was really a treat to see Wolverine unleashed from his Weapon X program. I still think that the movie creators held back a bit too much. They could’ve went a little further with the gore in that scene. It’s worth mentioning that Cyclops did have an extra kick in his attack in this movie. I really felt as if he could bring the pain if he needed t, but he didn’t really have ample opportunity throughout the movie. Even Mystique had very little to do in terms of action. Nightcrawler showed flashes of promise when he was duking it out with someone but again, too little. I did find that he was extremely useful throughout the movie, in fact without him the X-men would’ve been screwed on several occasions. I will say that making such otherworldly powers work on screen is a challenge and they did a good job making it as dynamic as possible but aside from a few moments, action is not director, Bryan Singer’s strength. Wolverine, once again manages to outshine his cast mates when it comes to action in this movie. Sebastian Shaw continues to reign supreme as the best pure X-men villain ever portrayed on screen. I wanted to love Apocalypse so badly and instead I had to settle for tolerating him. I think it’s pretty clear that most fans did not like his look in the movie. As someone I know pointed out…” He looks like a purple man with a clown’s mouth.” Not exactly a glowing review for the costume department. He lacks size and strength but what about his motivations? Fairly generic, is the way I’d put it. He wants to take over the world from the weaker species simply because he can, no other reason really. Apocalypse does have a threat to him but he doesn’t have that extra weight to make him anything other than just another powerful villain. But the thing is that when does get a chance to flex his muscle, you see he means business. I just wish he would’ve done a little more and rely less on his 4 horsemen. He did have some fun lines of dialogue that can get stuck in your head and the actor does a commendable job with what he has but for someone as epic a villain as Apocalypse, that’s simply not good enough. A bit of a mixed bag here. Michael Fassbender’s Magneto and James Macavoy’s Prof. Xavier are as good as they always are. They are able to make most of their scenes compelling and elevate the rest of the cast, particularly Fassbender. Jennifer Lawrence is also quite good, no real false moments in her performance. She’s comfortable in the role as it has evolved. Rose Byrne’s Moira Mactaggert is the weakest of the bunch. Almost every moment she said a line of dialogue, I cringed. To be fair, she didn’t have the best lines to work with but she did her self no favors with her wooden delivery. Speaking of wooden, Sophie Turner could’ve done a better job as Jean Grey. She had moments that felt very forced. Particularly moments she had to carry on her own. Evan Peters’s Quicksilver always managed to make me laugh. He injected energy in every scene much like he did in Days Of Future Past. 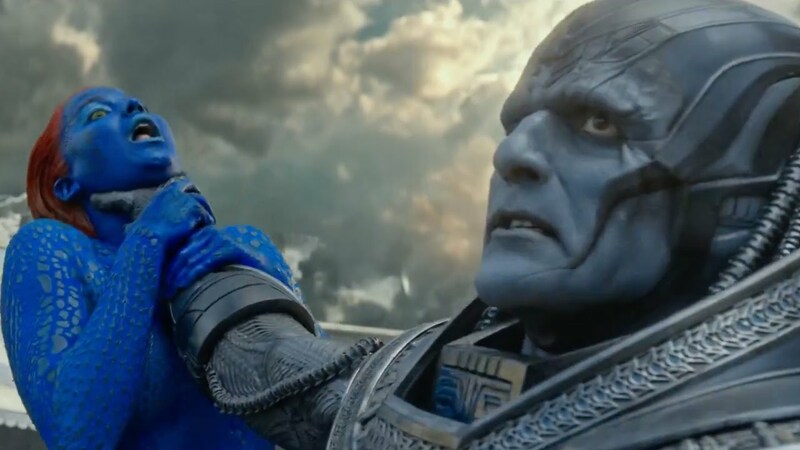 Oscar Issac actually did a good job as Apocalypse for what he was given, so it’s hard to blame him for the sub par representation of the character. Everyone else in the movie was average enough to get by. Not as bad as Batman vs Superman but no where near as good as Civil War. Middle of the road seems fair for X-men: Apcalypse. It had some high points but ultimately for the scope of the villain, it should’ve been better. I appreciate what Brian Singer did for the X-men franchise but I think it’s time to bring in a fresh eye. Aside from that, Fox studios has to really decide what continuity they want to follow. Do the X-men first meet Wolverine in this movie or in the first one? Is Mystique a pure villain or is she a hero? Why is Jubilee a kid here and a kid in X2? With all of these questions and more looming how are they going to keep going? Hugh Jackman already stated that Wolverine 3 is the last time he’d be playing Logan, so does that mean they will recast the role? I’ve heard rumors that X-23 will take over as the “Wolverine” of the team( X-23 is Wolverine’s daughter for those unaware.) If that’s to be believed that means that she would show up before Logan ever joined the X-men? I think that would be met with a tepid response from fanboys but who knows? We’ll see what Fox has up it’s sleeve once Wolverine 3 wraps. Hey Val – managed to get out to it myself last week & can’t say that I disagree with you unfortunately. 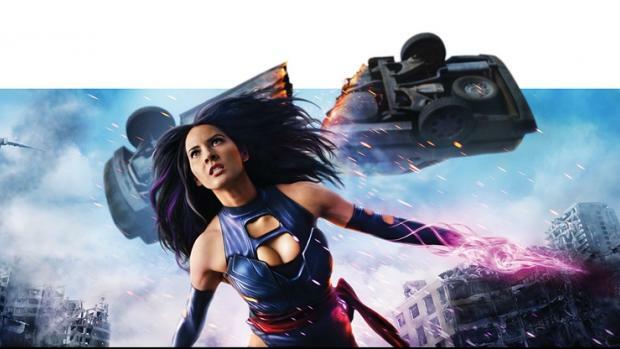 I really didn’t like Psylocke & I too had such high hopes for Apocalypse … sigh. 🙁 It’s really sad as the X-Men were by far my most favorite heroes & they’ve yet to really shine on the big screen. I liked the fact that they really had a distinct look/feel for the 80s in this movie, but really wish Apocalypse had done more.